La Sonora Ponceña - Copacabana Nightclub - 3/13/01. 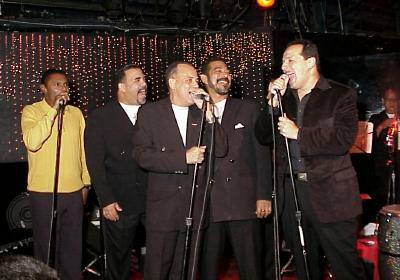 La Sonora Ponceña played thier hot brand of clasic Salsa at the Copacabana Nightclub in New York City on March 13, 2001. Jose Alberto "El Canario" got up on stage to improvise with the band. In-the-house were members of Cultural Explosion, one of New Jersey's best Salsa dancers and also members of Tropical Strom one on New Yorks best Mambo dance teams. These photographs were taken by J. Fernando Lamadrid. All rights reserved and copyright www.justsalsa.com 2000. Your feedback is welcome.